Every woman has her own way to look beautiful. Some women like to wear long hair but they don’t take advantage of their pretty locks and add charm to their looks whereas some may find it difficult to make a stylish hairstyle. In fact, long tress can be really versatile and there are many ways to style them. Here, we have selected few very elegant and easy updo and half updo hairstyles that will give you perfect and gorgeous look for any occasion. An asymmetric side bun looks luscious with the braided rope in a flattering way and offers super charm and grace with ornate lines. This wonderful braided bun works greatly for medium and long hair. The fishtail updo is an easy and simple hairstyle that anyone can pull off. It takes minutes to create and looks absolutely spectacular. 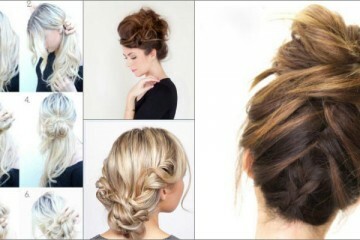 This wonderfu bun creates a clean look with elegance. The good thing is you can make this gorgeous bun in no time and this hairstyle can be created very well on straight hair. 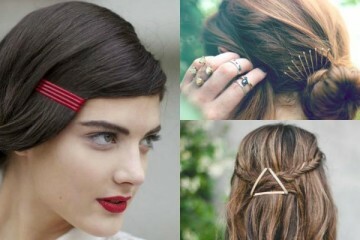 The cute twist back hairstyle is quite cool for any occassion. This charming hairstyle can flatter square and oval face shapes. This hair bow half updo hairstyle looks sweet and trendy. 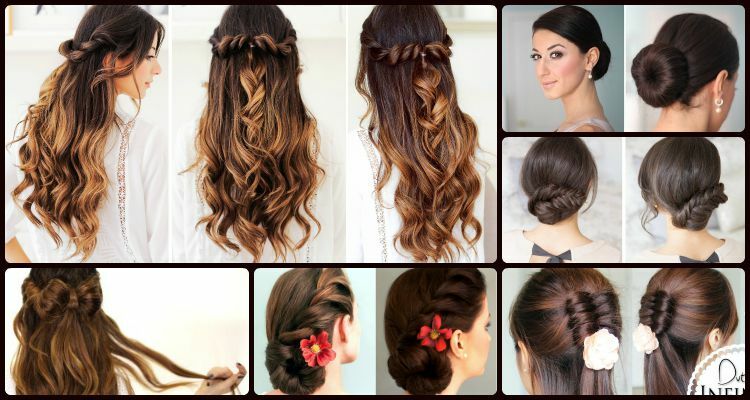 This fabulous hairstyle adds cool and fun factor to the gorgeous curls as well as straight hair. The breathtaking elegant dutch infinity braid for half up do is great if you want to try something unique yet fab!